Vanity as an Occupational Disease–Of Politicians (and everyone else)! 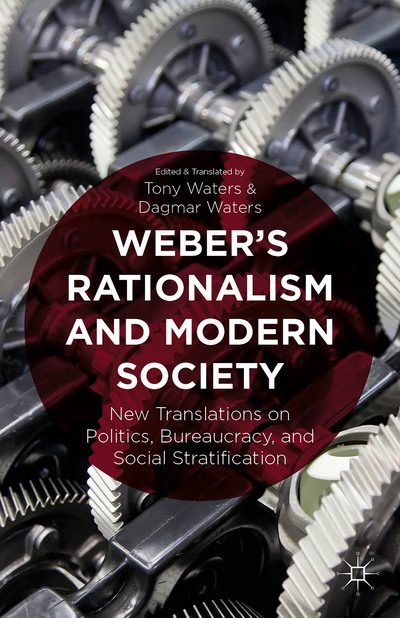 My wife and I recently completed re-translating Max Weber’s classic essay “Politics as Vocation” which is part of a book Weber’s Rationalism and Modern Society. The essay is about how the nature of politics, which is about the exercise of power, creates the type of human-being who is accustomed to telling other people what to do. Bill Clinton also lists it on his Presidential library site as one of his favorite books of all-time. Weber writes that one of the by-products of politics for a politician personality which is particularly vain because the politician becomes accustomed to hearing how wonderful they are. Vanity is not something limited to politicians of course–but Weber says that for politicians, it is almost an occupational disease. This disease emerges because politics requires the politician to always push themselves forward, asserting that the politician’s self is the possessor of the unique quality of leadership and judgment, which no one else possesses. Elections campaigns, in which a coterie of “table companions” and supporters sing the praises of the politicians feed into this self-conception. Now, vanity is not a monopoly of the political profession–but as Weber notes, it is particularly dangerous in a politician because they wield power over others via the police, army, and other tools of coercive force. And wielding power over others is fun–actually he says it is “intoxicating.” Weber writes that politicians come to see such issues of power as being addressable only through their own special personal qualities–and not those of anyone else. And there are of course those crowds of people, as well as a sycophantic retinue that they themselves create to remind themselves that they are indeed as wonderful as their press releases indicate. Vanity is a very widely spread trait and probably nobody is entirely free of it. Certainly, among scholars and academic circles it is kind of an occupational disease. Nevertheless, especially for a scholar, vanity is distasteful when it expresses itself, but it is relatively harmless because it does not disrupt the functioning of academic organizations. This is completely different in a politician for whom the pursuit of power is a means unto itself. “The Pursuit of Power” is in fact one of the normal typical qualities of a politician. “The sin against the Holy Spirit,” which is a deadly sin, in the context of the politician’s professional calling [Beruf ], begins when the thirst for power becomes irrational and a matter for pure personal self intoxication instead of being used exclusively in the service of a cause. Ultimately, there are just two kinds of “deadly sins” in the field of politics: a lack of objectivity and irresponsibility—often, but not always, identical qualities. It is the vanity, and the need to be seen and to push oneself to the front, that is the primary temptation that leads politicians to committing one or both of these deadly sins. (Weber’s Rationalism, pp. 192-183). First posted at Ethnography.com February 2016. ‹ PreviousMax Weber was a funny guy!